Until recently, it was assumed that 264 mammal species live in Europe, but in May 2018 a new species of mole has been described and the number rose to 265. It concerns Talpa martinorum. For the time being, only known from a part of the Bulgarian and Turkish Black Sea coast. 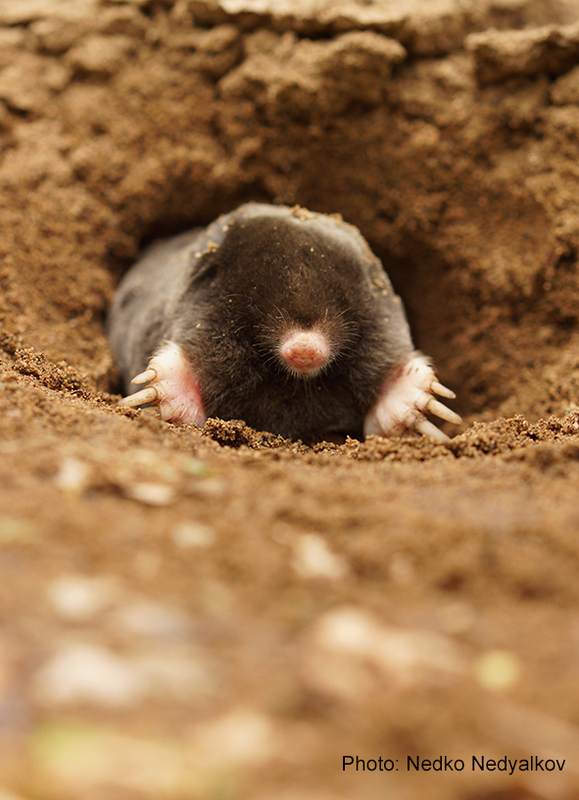 It happened also in 2015, when a new species of mole was described that, for the time being, only occurs in the south of France and the north of Spain: Talpa aquitania. With the discovery of the new species from southeastern Europe, the number of mole species in Europe is eight. Of the eight mole species, the European mole (Talpa europaea) is the most widespread, from England / Scotland to beyond the Ural Mountains. He is missing in Iceland, Ireland, Portugal, Norway and large parts of Sweden, Finland, Spain, Italy and Greece. The other seven species are known only from southern Europe. The new mole species is closely related to T. europaea, T. aquitania and T. occidentalis. He differs from T. europaea by having a sealed palpebral fissure and a 1st upper molar with no parastyle, and by being smaller. At present it is only known from the southeastern part of the Balkan Peninsula, as its habitat region runs near the Strandzha Mountains – in Bulgaria and Turkey. Almost nothing is known about the peculiarities of new species biology, which will be the subject of future research. The new species was described by scientists from the National Museum of Natural History in Bulgaria, the Museum of Natural History in Slovenia and the “Alexander Keuning” Zoological Institute in Germany. n. sp. Note that the palpebral fissure is covered by transparent skin (a). Museum vouchers PMS 25631 (a), ZFMK 2017.1152 (b) and ZFMK 2017.1151 (c). Not to scale. Mole, Talpa aquitania, Talpa martinorum. Bookmark.